This program focuses on the Middle East and North Africa while also studying the wider Islamic world. It provides students with an understanding of the origins and development of the Islamic faith in its heartland, as well as an awareness of the multi-cultural and dynamic character of modern Islam. It also trains students in the history, culture, politics, and political economy of the Middle East, North Africa, and the Islamic world. The area encompassed by this program extends from Morocco to the Philippines. It contains an extraordinary variety of linguistic and ethnic groups such as Arabs, Iranians, Turkic peoples, Kurds, Baluchis, Malays, and others. This region is home to over 1.4 billion Muslims, who constitute more than one-fifth of the world’s population. It is the source of a rich religious and intellectual tradition that emerged from the same roots as the Western tradition and evolved over a long history of interaction with the West. It also plays an important role in global peace, security, and prosperity. These demographic, cultural, and strategic considerations will lead to a steady increase in contact between the Islamic world and the United States in the future. The Middle Eastern and Islamic Studies Program (MIST) program equips Colgate students with the knowledge and conceptual tools needed to understand and manage this relationship. The themes addressed by the program include the history and development of the Islamic faith; colonialism and its impact on the cultures, economies, and polities of the region; the rise of nationalism and its relationship to tribal, religious, and ethnic identities; the emergence and impact of political Islam; the Arab-Israeli conflict; the prospects for democratization; and United States foreign policy toward the Middle East, North Africa, and the Islamic world. 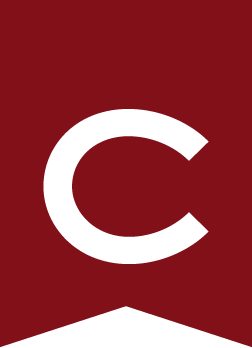 Only courses taken at Colgate or on a Colgate Study Group will count towards the major or minor GPA if a grade of C or better is earned. In order to be eligible for honors, students must earn a grade of A- or better in the capstone course taken in the fall of their senior year and write a thesis in the spring. The thesis is normally an extension of work done in the capstone course. For honors, the thesis must be judged by a committee of two MIST faculty members from different disciplines and earn a grade of A- or better. For high honors, the thesis must be judged by a committee of three MIST faculty members from two or more different disciplines and earn a grade of A or better. An overall minimum GPA in the major of 3.50 is required for honors and 3.70 for high honors. The MIST faculty and the off-campus study office have identified a small number of programs that we highly encourage students to attend for a summer or a semester. Three course credits toward the major can be earned through study in off-campus programs. Approved off-campus language courses may also count toward the major and are not included in the three-credit limit. Consult with MIST faculty for further details. Award for Excellence in Middle Eastern and Islamic Studies — awarded to the graduating senior who has excelled in Middle Eastern and Islamic Studies. The Muhammad Eissa Prize for Excellence in Arabic — awarded by the faculty of Arabic to students who demonstrate excellence in studying Arabic language and culture. The courses listed below are offered by the MIST program. Use the major/minor links to find other courses that may count toward the MIST requirements.